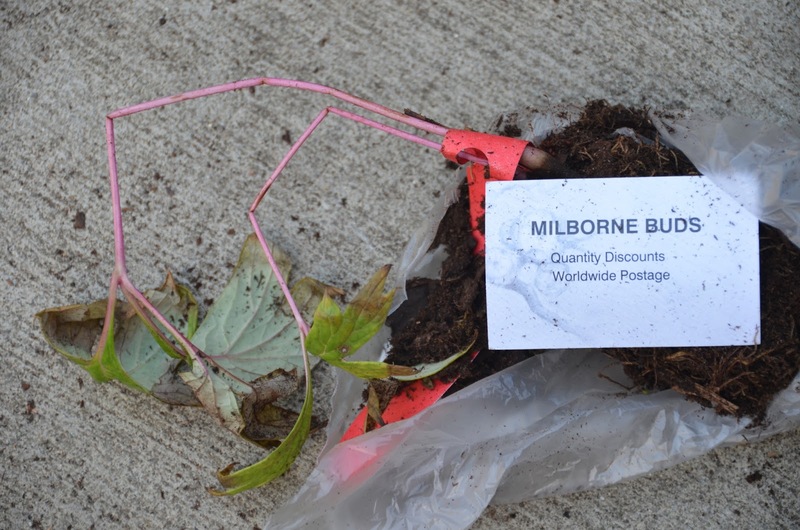 The Yellow Tree Peony Seedling from UK on Ebay arrived this past week, and I got it planted right away, which was good since its packaging wasn't very secure. 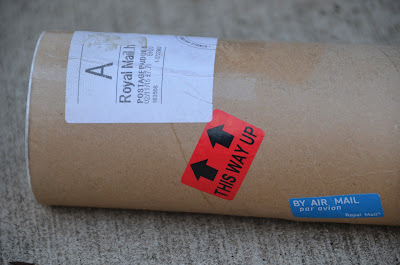 It arrived in a half tube with a small pint sized plastic plant pot taped to the bottom of the tube. 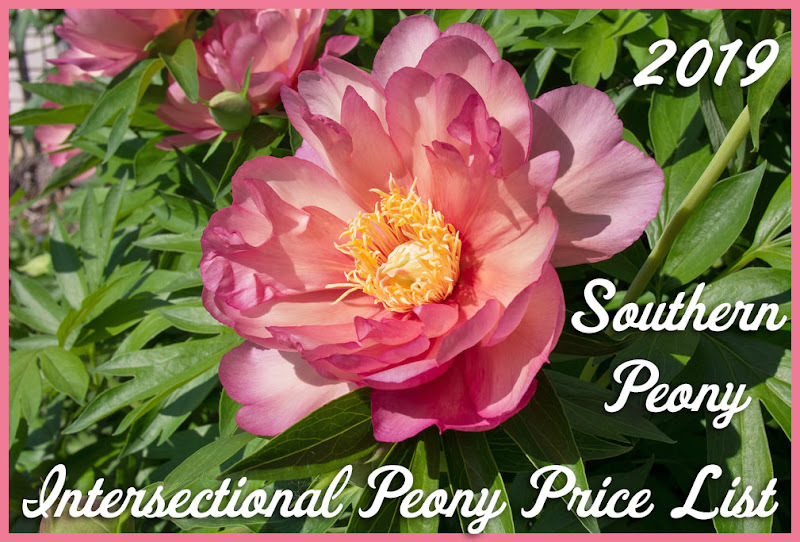 When I cut the tape to separate the tube from the plastic pot, I discovered that the rootball of the tree peony was no longer inside the plastic pot. It had apparently been jostled during shipment and there was no plastic, tape, or rubber bands - nothing to keep the plant inside its pot. The rootball was dry and the foliage obviously no longer looked like the foliage in the auction picture. 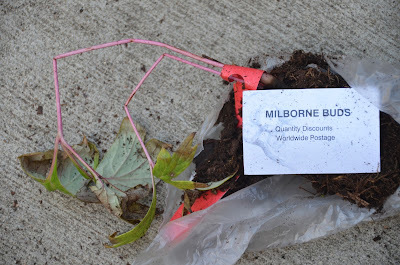 However I got it planted straight away the same day it arrived. Since it has been raining here for several weeks now, the soil is nice and moist. So hopefully this will give the plant an opportunity to get some much needed nutrients and adapt itself to our climate before our harsh summer weather hits. On the bright side, it looks like its roots are quite a bit more established than the Purple Tree Peony Seedlings From Ebay UK that I got in 2013. 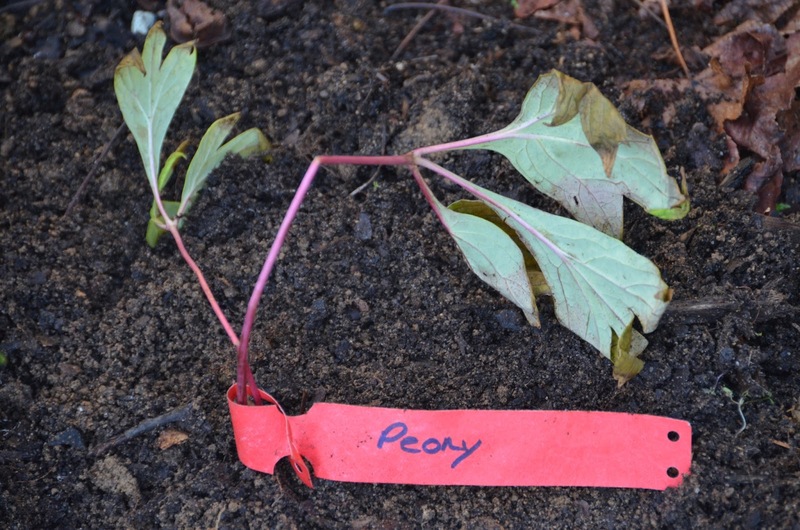 Those purple tree peony seedlings appeared to be first year seedlings. 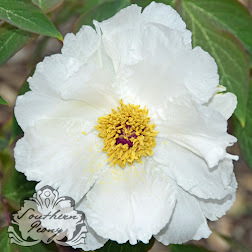 This yellow tree peony looks to be at least a second year seedling, as its roots system is much more extensive. Hopefully this extended system of moisture and nutrient absorbers will give this tiny tree peony a much better chance of survival. The bent and broken foliage looks a little roughed up from shipment. However I'm guessing the foliage won't last much longer here anyway. So I'll probably remove that soon anyway and let this plant concentrate it efforts below the soil.